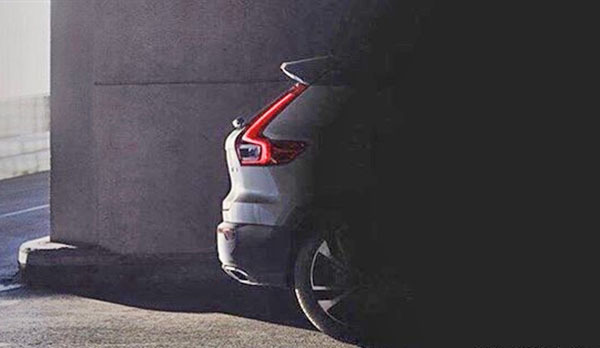 Burlappcar: New Volvo XC40 teaser? This was just sent to me and I am not sure yet if is it real or not. It looks like it could be a more revealing teaser for the upcoming XC40 compact SUV. It does look pretty realistic, and close enough, yet a bit different, to the concept from last year. The lights are a bit different, so are the wheels. Rear wiper is visible etc... So this could very well be it. Volvo is a in rush to release all of their SUVs as soon as possible. The new XC60 barely came out, while this XC40 is already around the corner. Meanwhile, the new S60 and V60 are not even out yet. Here is last year's concept. This will hurt the all new Mini Coutryman sales.